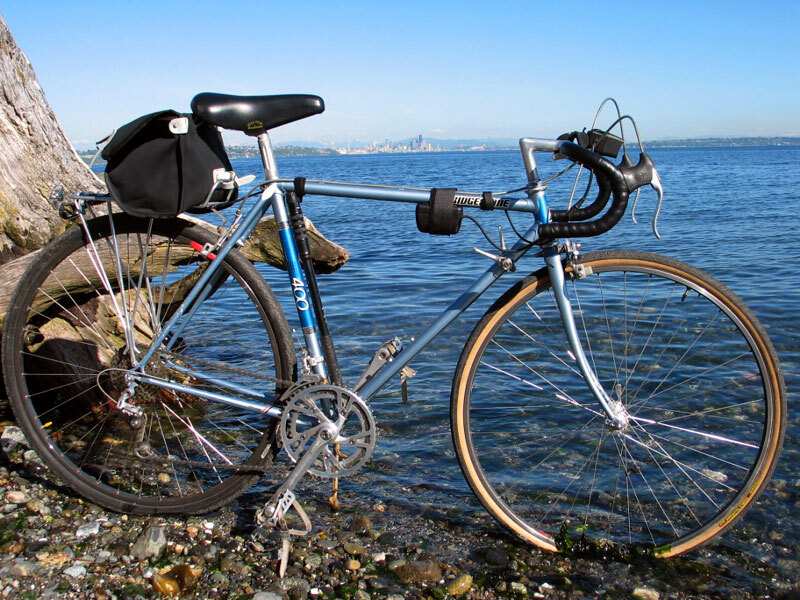 Here are pictures of my 1984 Bridgestone 400, posing in front of Puget Sound with Seattle in the background. This is my commuter- see my office over there in Belltown? I ride it down to the ferry, and then up into the city. 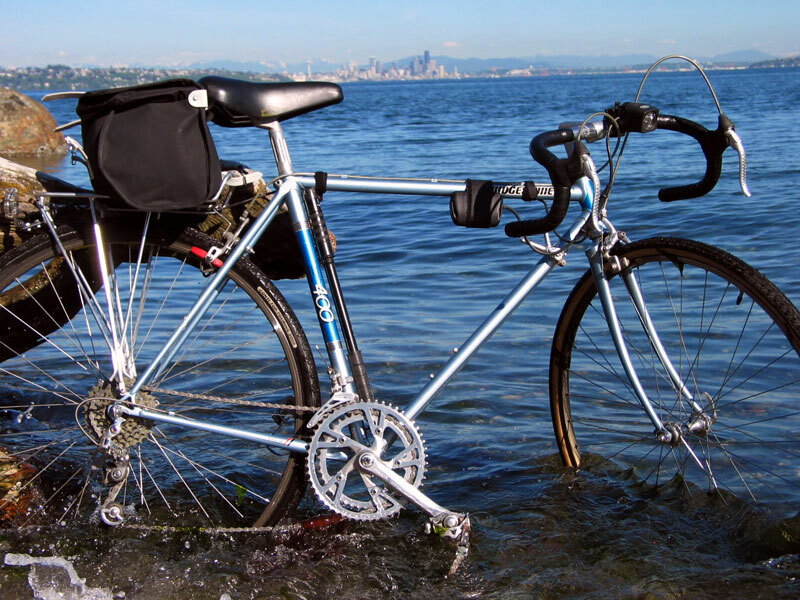 This is a sport-touring bike. It is great for this purpose- reasonably fast, very comfortable and stable. It still is evolving a little....I am trying different gearing, different light setups, and may change to a taller stem. I haven't decided whether to put fenders on it. When it rains, I ride the XO-2 (another story). Some non-stock things- Carradice Junior bag, ancient Blackburn rack, custom handbuilt wheels with Campy hubs and Mavic G40 rims (from my old 1980s Klein). Tires are Panaracer 700x32 on the front and Conti Top Touring 700x32 on the rear. Pedals are kkt. Lights from Nite Rider. I took out the spacers in the rear dropouts so I could get the chainstay length to 44cm. Why? 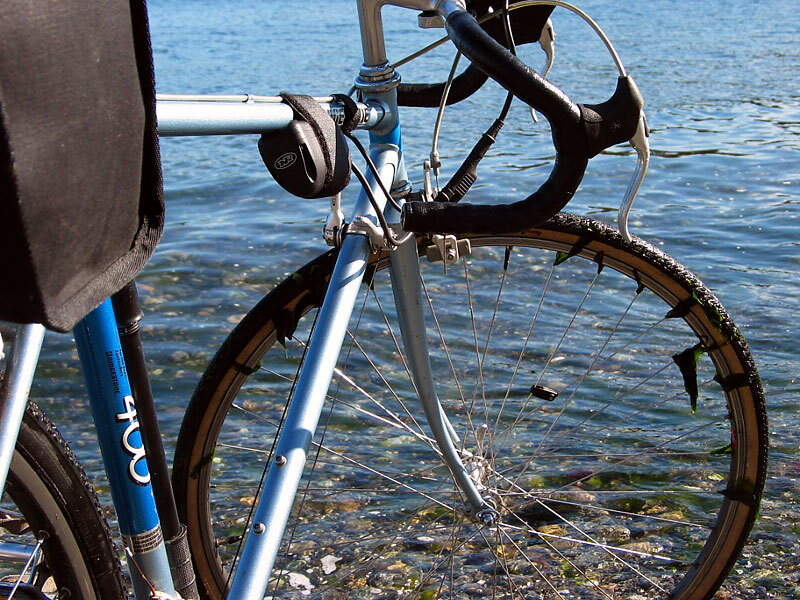 Less heel strike against panniers. I changed to Kool Stop pads. Stock- I think this bike is mostly stock. I love the Accushift downtube shifters! 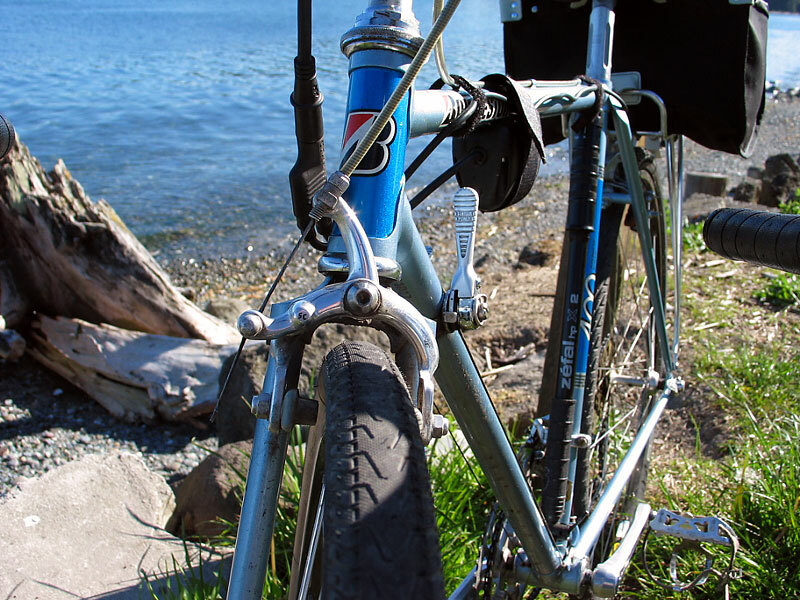 Ishiwata triple butted 4130 steel frame with fender eyelets and rear chain hanger. This has the double crank with the provision to add a third ring on the inside. 53 cm toptube, 54 seattube c-t. Suntour ARX front and rear derailleurs. 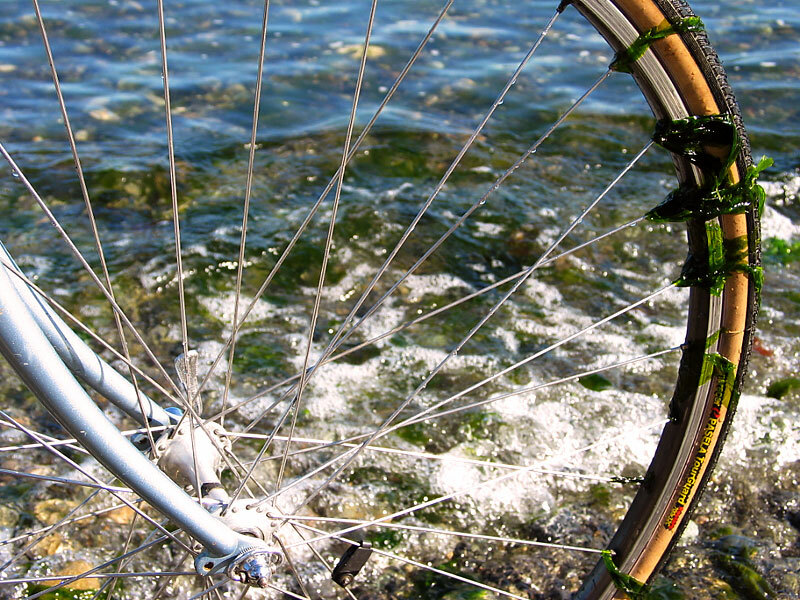 Bridgestone designed Diacompe self-centering Brakes.